Fan shaped sterling silver + 14K gold fill link bracelet. 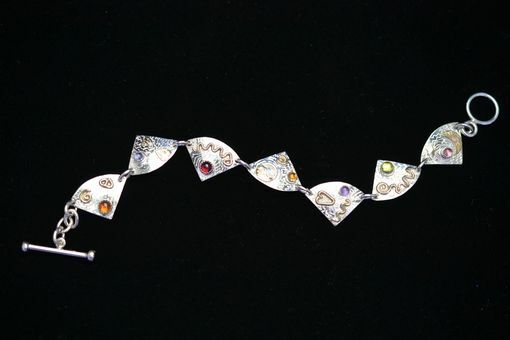 Semi precious stones, hand engraved on front, writing on back. Talismanic. Toggle w/ stones closure.